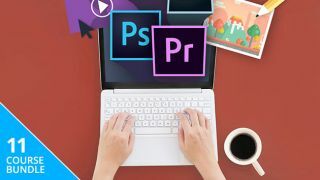 Become a pro at using Photoshop, Premiere Pro, After Effects, and Lightroom. The Adobe Creative Suite is and probably always will be ubiquitous in the creative field. Its tools remain the gold standard for graphic design, photo manipulation, video editing, and more. If you want to make the most out of every app, you can rely on the Complete Adobe Mastery Bundle to show you the ropes. Across 11 courses and over 70 hours of premium training, you'll explore and master the functionalities of the top Adobe programs including Photoshop, Premiere Pro, After Effects, and Lightroom. You'll learn how to transform dull photos into dazzling imagery, create compelling videos, design marketing materials, and tons more. By the time you finish, you'll have all the skills that you can apply to your own creative endeavours. You can get the Complete Adobe Mastery Bundle today for only $39 – a saving of 98 per cent.